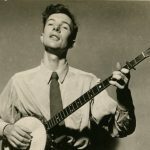 Home / organising fellowship / latest fellowship news / Community Organising Guide: Our second training guide has been published! 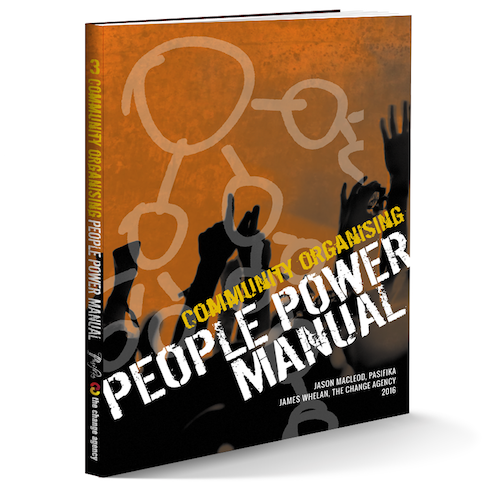 The Community Organising Guide is a unique resource for campaigners, community leaders and activist educators. It’s a collection of 39 process guides, 50 handouts 4 original case studies and 3 sample workshop schedules: everything you need to design and lead participatory workshops with activists, organisers and citizens. The 292 pages of training resources deepen our understanding of relational meetings and self-interest, the power of story in organising, building alliances, coalitions and networks, holding decision-makers accountable and leadership development. The guide also sharpens core organising skills such as recruitment, doorknocking and phonebanking. The Community Organising Guide will be launched during the FWD+Organise conference in Sydney on 24 November. Both guides are available as a downloadable pdf from our website, or order a hard copy ($80AUD including GST and postage). 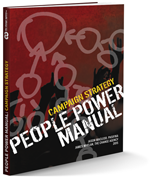 The People Power Manual is an initiative of Pasifika and the Change Agency.